A musician mama loving home-schooling, creativity, and adventures! As I've written before, I am part of a professional flashmob group. We dance Michael Jackson's "Thriller" at various events before Halloween, getting paid for weddings. 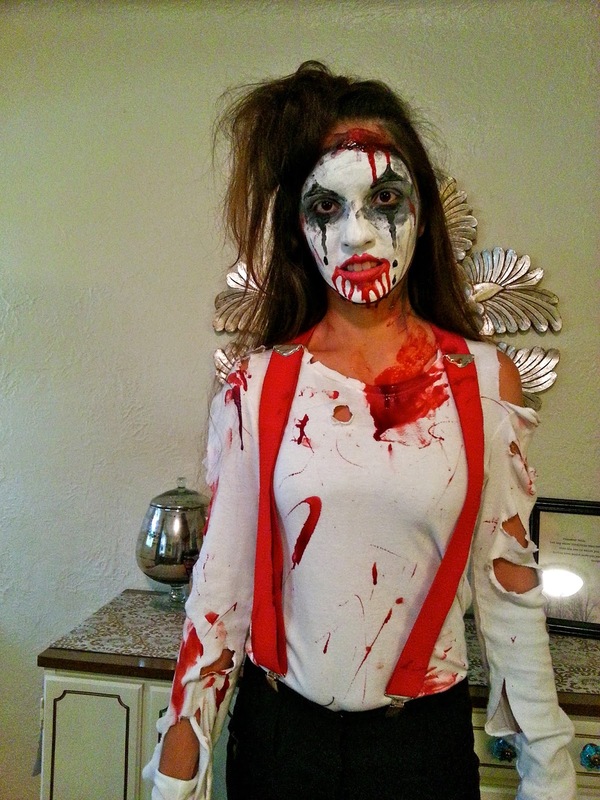 This year my costume is supposed to be a zombie mime. I'm still working on the make-up, but this is how I looked for my first series of events this season! We have a ton of fun : ) I'll be spending time over the next few weeks in this outfit with twenty-five to fifty other flashmobbing friends, thrilling St. Louis! And yes, my two year old has seen me like this, but she doesn't freak out as long as I put on my make-up in the bathroom with her watching. If she sees the process, then she understands it's just dress-up! My mom helped me figure out and put on the paint. Harmony cheerfully waved goodbye to me right after this picture was taken, happily ready to play with grandma for the evening. 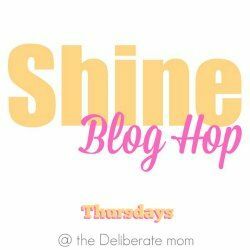 Linking up also with Mommy Reality over at Deliberate Mom! That sounds like fun to be part of a professional flash-mob group! I like your costume. What a fun job! You look great, love the costume. Have a great week-end. Sounds like so much fun! I hope you had a great time. This is so cool! I think my kids would be ok if they saw me put on the makeup, well all except for the 18 month old. I think she would still run for the hills! Thanks so much for linking up with the Mommy Reality challenge this week! Eeeeek! This is SCARY! Good job on the makeup! Thanks for sharing (and for linking up to the #mommyreality challenge)! What a fun job! My then four year old watched a makeup artist transformer a normal looking boy into one having been hit by a truck for a Stephen King movie. Watching from start to finish, she wasn't at all afraid. The then four year old got married over the weekend. Very creative! Good idea to let your child see the "dress up" part of the process! Life for me is all about magic, mystery, muse, and music. 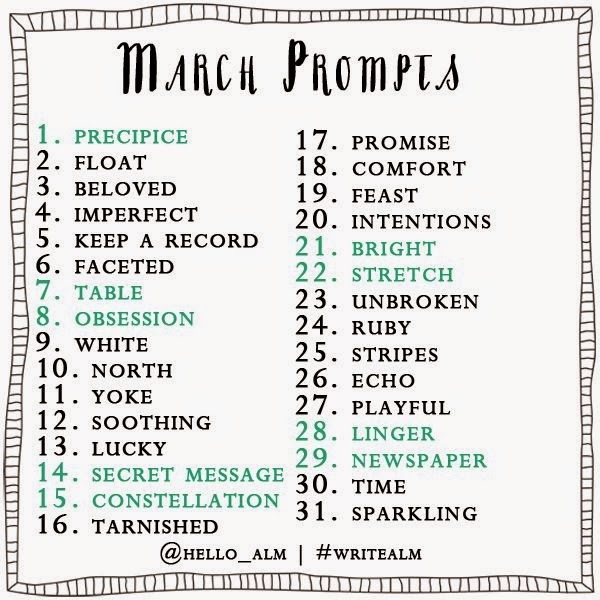 Write or Die Wednesday |26| Fun, Anyone? Want to read what else I write? Dear _____, I Miss You. Here's a Letter, Finally! Happy 300th Post, with Giveaways! Eat These! Or At Least Cook Them. © Lyssa at http://playguitar4him.blogspot.com/ Unauthorized use and/or duplication of this material without express and written permission from this blog’s author and/or owner is strictly prohibited. Excerpts and links may be used, provided that full and clear credit is given to author with appropriate and specific direction to the original content.